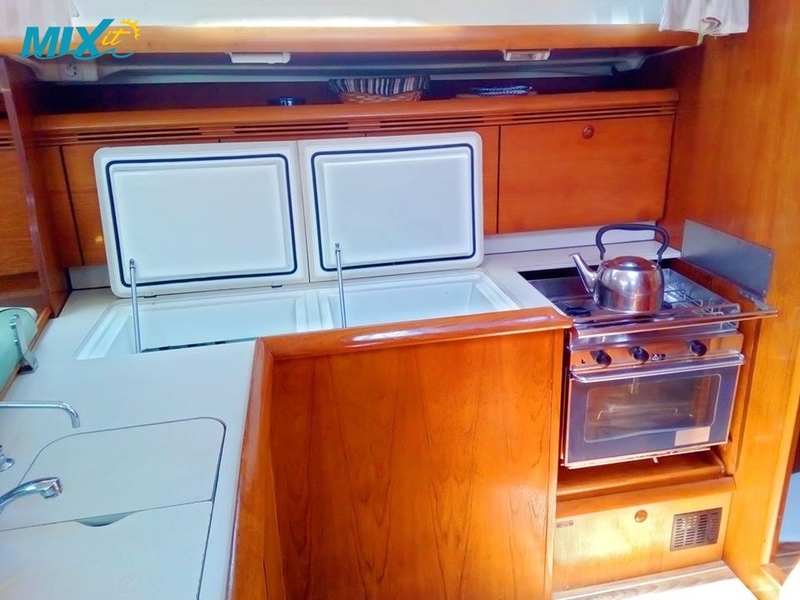 The Sun Odyssey 43 is known for its space and light below deck bringing natural lighting from the roof to the large saloon and kitchen area. 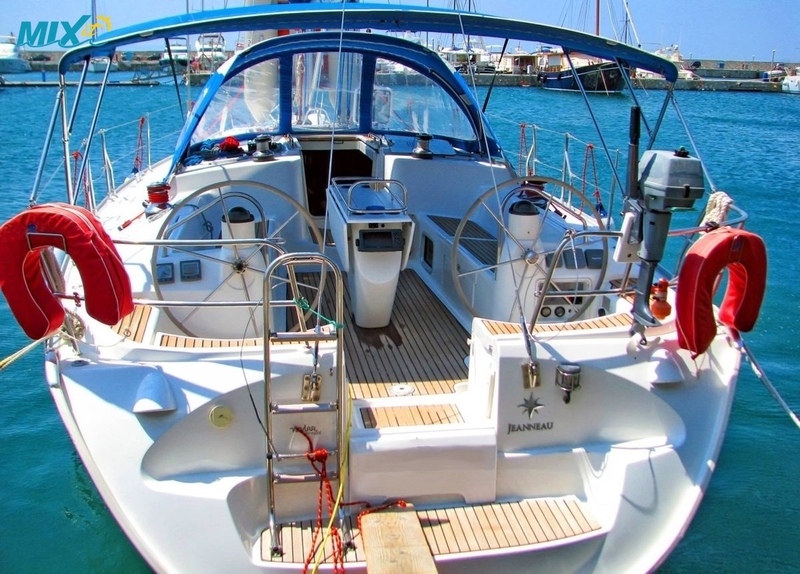 This is a luxurious and well crafted yacht, (traditional Jeanneau quality) and is ideal for the larger group. 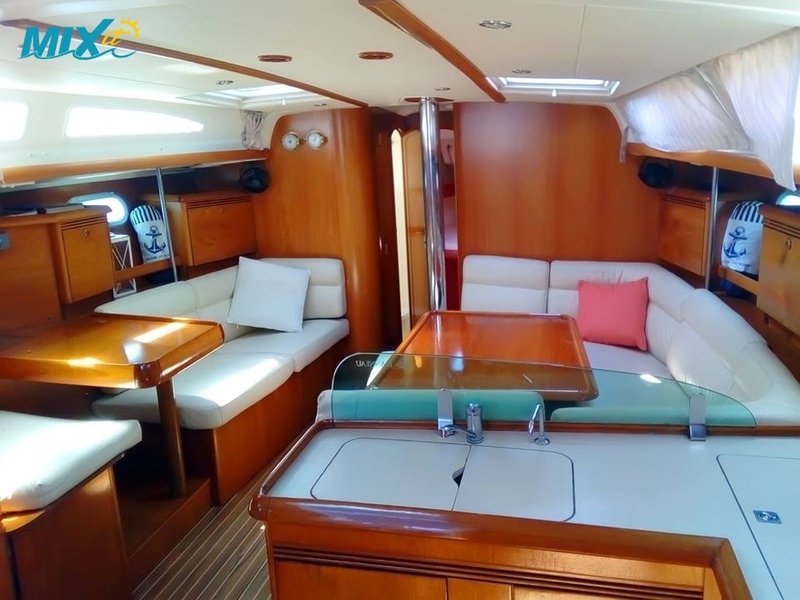 The saloon and navigation table area is big, bright and airy with a large and practical galley area on the starboard side with additional hatches for better ventilation of the vessel. 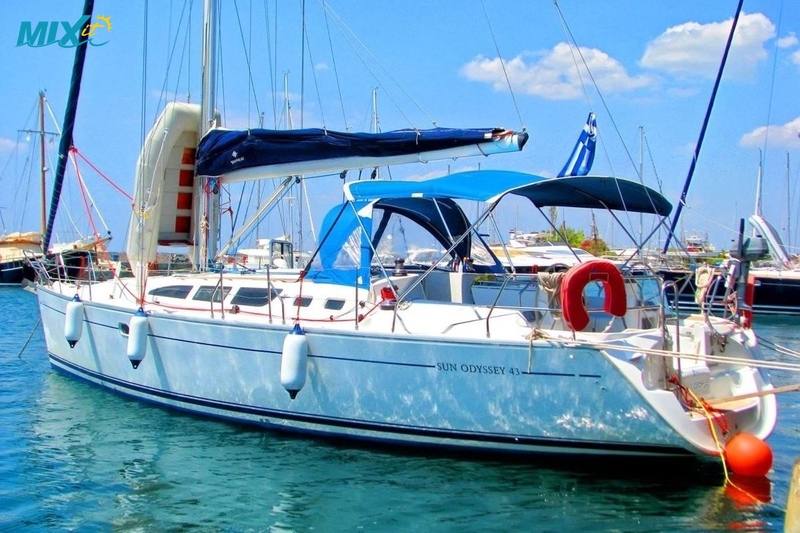 This yacht provides comfortable and spacious accommodation for 8(10) in 4 cabins. 2 aft cabins with double beds, 1 double cabin in the bow and a roomy double bunk cabin plus sleeping for 2 in the lounge area if required. You have 2 large bathrooms (toilet & shower) fore and aft. On the stern you have bathing platform, swimming ladder and deck shower. The twin helm cockpit area is spacious & comfortable, a full battened mainsail with lazybag and roller Genoa and a large bimini top and spray hood providing good cockpit cover.